Graham, J, and others, ed. 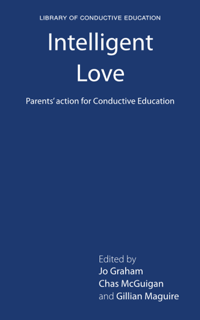 (2010) Intelligent love; parents’ action for Conductive Education. Birmingham: Conductive Education Press. This is the third title to be published by Conductive Education Press, coming out in December in time for the World Congress in Hong Kong. giving information about its contents, and it was also mentioned on Andrew Sutton’s blog. This book is one that we are particulary pleased with and we are sure you will understand why when you have read it. Comments are always most welcome.